5-pack. Easy Music Theory for Middle School is a student workbook that will teach students the basics of music theory. 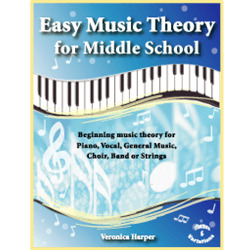 Easy Music Theory will be useful for general music classes, beginning band or choral classes. Your assessment of student understanding will be easy - just collect and mark the workbooks.